South African Nation-Building Commemoration: a tribute to three great statesmen. To celebrate Freedom Day in South Africa, the South African Legion – England Branch, in association with the Royal British Legion – South African Branch and 133 Army Cadet Force, organised the inaugural Nation-Building Commemoration to pay tribute to three statesmen whose vision and deeds shaped modern South Africa: Nelson Mandela, Jan Smuts, and Mahatma Gandhi – whose statues all stand on Parliament Square in London – as great visionaries of not only South Africa, but also Great Britain and the Commonwealth of Nations. 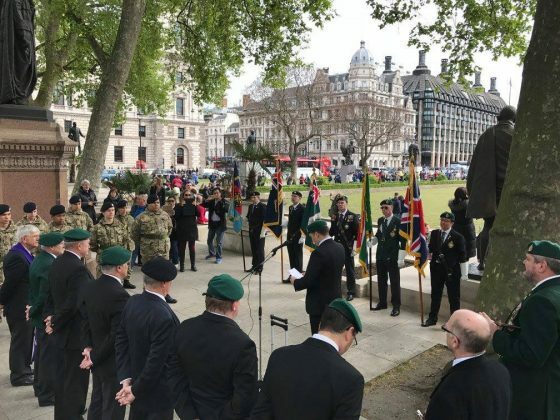 The South African Legion led contingent gathered on Parliament Square, which is considered to be the Holy of Holies by the British people, by virtue of its location opposite the Palace of Westminster, an icon to democracy. 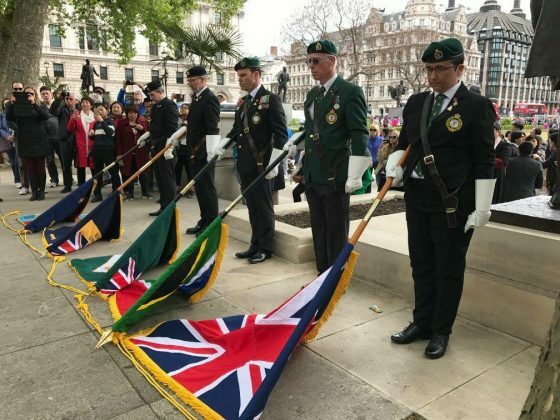 Obtaining permission to parade at Westminster on Parliament Square was a major milestone for the South African veterans in England; a big first and a huge honour. Additionally, being at Westminster, there was the added duty and privilege to pay appropriate respects to PC Keith Palmer who was murdered at Westminster in the terror attack on 22 March 2017. Nelson Mandela, Jan Smuts, and Mahatma Gandhi all played a crucial role in leading South Africa to the democratic country we know today. The contribution of Mandela to the world we live in is at the forefront of our consciousness and we honour that. Perhaps less widely celebrated are the monumental roles played by Smuts and Gandhi. We have a duty to honour our heroes and to ensure their contribution to mankind is remembered. In the historical timeline leading to the democratic South Africa we know today, one piece of history which might perhaps not be common knowledge, is that Smuts was instrumental in placing the ‘first piece of the puzzle’ leading to modern day South Africa, by leading the reconciliation effort between to former bitter enemies, the British and the Boers (where he served as a General), to create the Union of South Africa in 1910. Following this landmark reconciliation, he would go on to command the British Army in East Africa during WW1, also serving in the British War Cabinet (where he played an instrumental role in founding the Royal Air Force as a distinct service). Later, in WWII, he was promoted to Field Marshall (the only South African to achieve this wartime rank), serving in the War Cabinet under Winston Churchill. He made history by being the only man to have signed both peace treaties ending WWI and WWII. Lgr Claudio Chiste, Chairman of the England Branch of the SA Legion, summed-up the leadership trait of leading by example, coupled with the gift of forgiveness, espoused by these three statesmen. Who does not admire warmth and forgiveness of Mandela (affectionately known in South Africa by his clan-name Madiba) after serving 27 of the best years of his life in prison? 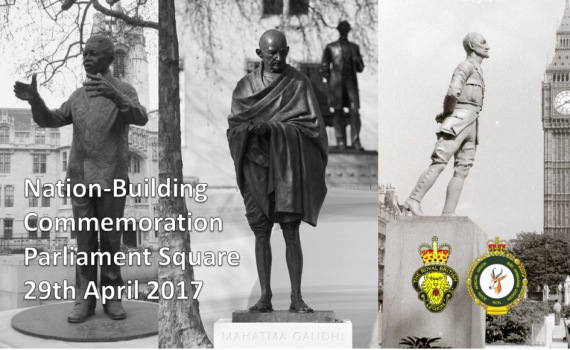 Who does not admire Gandhi’s subtle power in his stance of passive resistance in the face of the world’s most feared military? Who does not admire Smuts for having personally suffered at the hands of the British (he lost two of his own children during that period, while his wife Isabella (Isie) was taken prisoner in a concentration camp) yet he forgave the British and was elevated within their circle of trust? In the case of the latter, it may not be common knowledge, but so much was this trust built-up between these two former foes that UK Prime Minister Winston Churchill, who was himself was captured by the Boers at one point during the Boer War, was quoted as saying ‘my faith in Smuts is unbreakable’. Many may not be aware… but Mohandas (Mahatma) Ghandi lived in South Africa for 21 years, which for all intents and purposes would very much make him a ‘naturalised’ South African, which we could proudly claim as ‘one of our own’. As Gandhi himself said, South Africa was essential to his personal development and achievement. It was during these 21 years that this timid man who had just passed the bar exam would become the man who was to lead India to independence. On a personal level, he taught us no matter how tough life gets, there is always a positive. Each time he was imprisoned, he would say it was an ‘enrichening experience’. On a group level, he showed us that as a collective force people can be very powerful… unstoppable. ‘I was born free… free in every way that I could know. Free to run in the fields near my mother’s hut. Free to swim in the clean stream that runs through my village. Free to roast mealies under the stars and ride the broad backs of the slow moving bulls. It was only when I learned that my childhood freedom was an illusion… that I began to hunger for it’. Legionnaires – all military veterans for that matter – know all too well that our freedom has been hard won. By paying homage to those before us, we remember their sacrifices and honour their achievements. There are many definitions for leadership, but one that is favoured is that leader is influence. These men had a formidable international impact, not only while they were alive but still to this day. 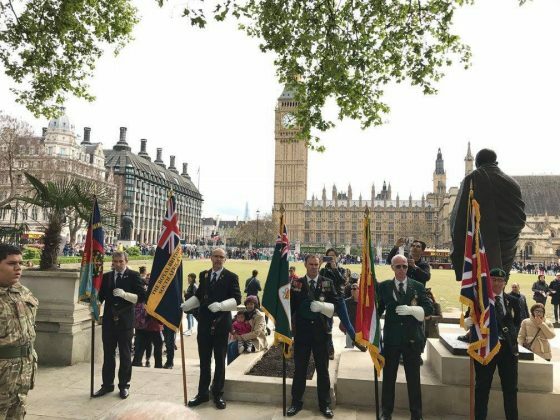 For the first time, wreaths were then laid ceremoniously at the base of each statue, with the standard bearers forming a guard of honour, led from statue to statue by England President of the SA Legion Peter Dickens who acted as Parade Sargent Major. Regional Chair for UK & Europe Lgr Cameron Kinnear lead the ceremony by placing a wreath at the Mandela statue, followed by Lgr Sean Daye for Smuts, Lgr Neil Douglas for Gandhi, and Lgr Paul Konrad for PC Keith Palmer. Mandela captured the essence of their collective legacy, as well as the ethos of the South African Legion when he said: ‘What counts in life is not the mere fact that we have lived. It is what difference we have made to the lives of others.’ As we say in the Legion, ‘Not for ourselves, but for others’. Standard bearers: Graham Scott (IC), Lgr Craig Esterhuisen, Lgr Tony Povey, Lgr Cassandra Shaw, of MOTHs General Browning Shell hole standard bearer Leslie Shield. Special thanks to the 133 Army Cadet Force, their Officer Commanding Joe Drohan and the trumpeter Bobby Crick. 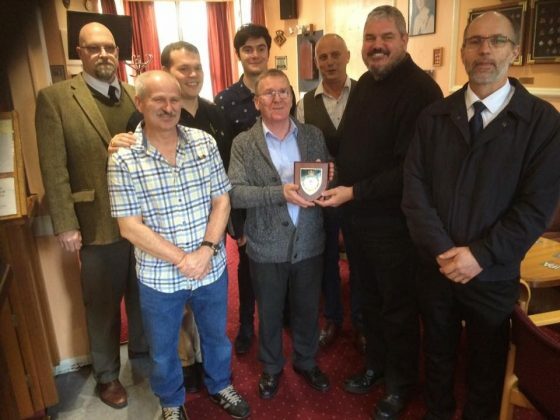 Also in attendance were Lgr Richard Poate and Lgr Robert Ansell. Another quarterly committee meeting (11th/03), another productive session with new plans in the pipeline, the most imminent being the upcoming inaugural Nation-building Commemoration, to coincide with Freedom Day. 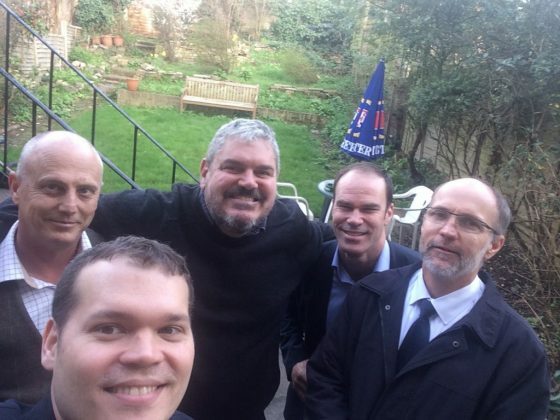 The now traditional quarterly social, followed the committee meeting held at the Royal British Legion (RBL) Clapham Club. 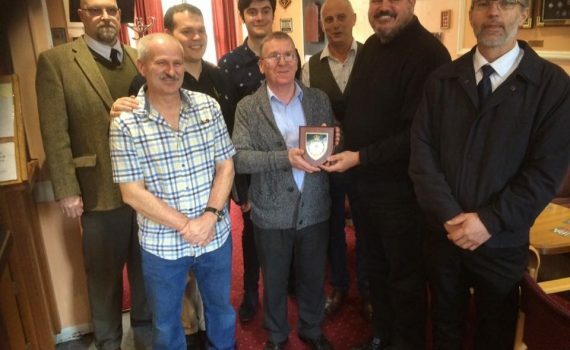 This was the first time we held our quarterly meeting at this venue, with the RBL Clapham club chairman expressing his gratitude at being presented with the SA Legion shield and told us that it would find a home on their wall to hang proudly. 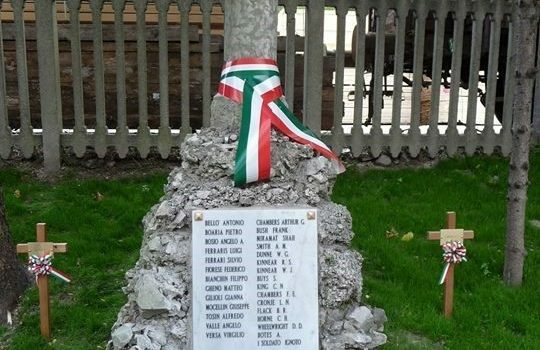 In the North Italian village of Carpane on 27 September 1944 the Germans executed 16 Allied soldiers captured fighting with Italian partisans in that area. Among them were Private W.J. Kinnear (Transvaal Scottish) and Gunner R. S. Kinnear (South African Artillery) who escaped with other South Africans from a nearby POW camp and joined up with local partisans to carry on fighting the Germans. They became such a thorn in the flesh of the Germans that a special operation was mounted in the Monte Grappa region to capture them. They were eventually captured and murdered by the Germans. 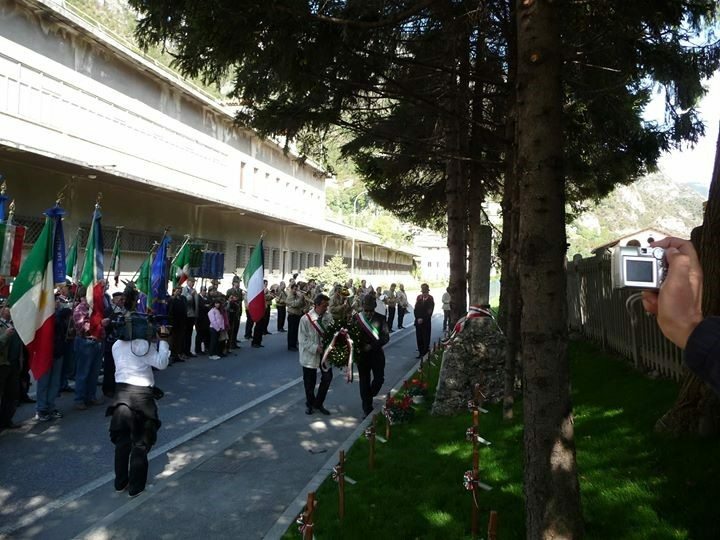 Every year on this day since the end of the war the villagers of Carpane have held a memorial service at this spot by the side of the road where they were killed. It is very moving that these Italian villagers have been so faithful for so long in keeping alive the memory of these who were really strangers in their midst. For many years the identity of the 16 was not known and the monument was simply inscribed to “16 unknown”. It was only about 4 or 5 years ago that their identity was uncovered by Sonia Residori, an Italian academic researcher. Regiment/Service: Rand Light Infantry, S.A. Grave Reference I. B. 1. Grave Reference I. B. 2. Grave Reference Coll. grave I. B. 3-8. Additional Information: Son of Arthur W. and Cornelia M. Chambers, of Durban, Natal, South Africa. Regiment/Service:Transvaal Scottish, S.A. Forces 2nd Bn. Grave Reference I. A. 10. Additional Information: Son of William J. and Francina S. Kinnear; husband of Maria E. Kinnear, of Johannesburg, Transvaal, South Africa. Grave Reference I. A. 8. Additional Information: Son of William J. and Susan Kinnear; husband of Adelaide R. H. Kinnear, of Durban, Natal, South Africa. Additional Information: Son of Mr. and Mrs. C. A. Cronje, of Ficksburg, Orange Free State. South Africa. Regiment/Service:South African Artillery 2 Field Regt. Additional Information: Son of Brian V. H. and Maude E. Flack, of Pietermaritzburg, Natal, South Africa. Grave Reference I. A. 9. Additional Information: Son of Guy and Lilian Wheelwright; husband of Viola Wheelwright, of Lusikisiki, Cape Province, South Africa. Grave Reference I. A. 14. Some excellent work been done by the SA Legion in the United Kingdom as we continue our aims of youth education and participation with Her Majesty’s Armed Forces Cadet program. ACF Wandsworth – Cadet Saffa Da Conceaio and Detachment Commander Lt Cassandra Sealy, both Legionnaires, proudly carried the colours at this year’s Delville Wood Parade in France. 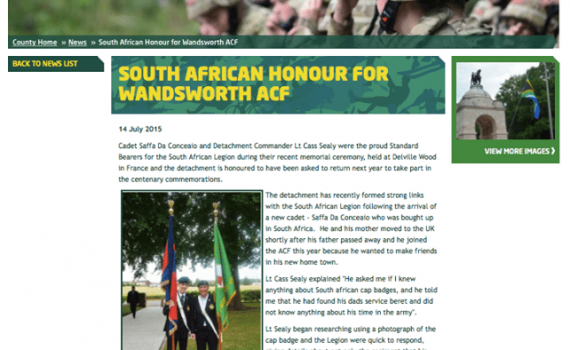 This article on the SA Legion has just appeared in the hard copy the latest UK Army Cadet Volunteer magazine. It is with a very heavy heart this morning that we announce the passing the Past Chairman of the South African Legion’s Soweto Branch. Lgr Frank Sexwale. 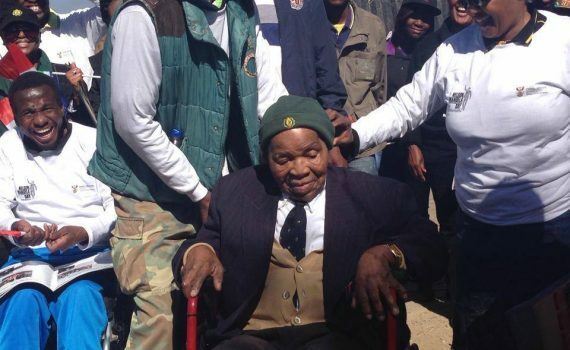 Frank Sexwale was one of our last remaining World War 2 heroes, having served with the South African Native Military Corps during the war and was very fondly regarded. To Colonel Tokyo Sexwale, Colonel Johnny Sexwale and General Mokoape we offer our deepest personal condolences. On behalf of all the Legionnaires of the South African Legion of Military Veterans, we offer our sincere condolences to his family. Our words cannot take away the sorrow they must all be feeling at this time. We hope our thoughts and prayers give comfort to his family that we as an organisation recognise and salute the work and efforts of Lgr Frank Sexwale. 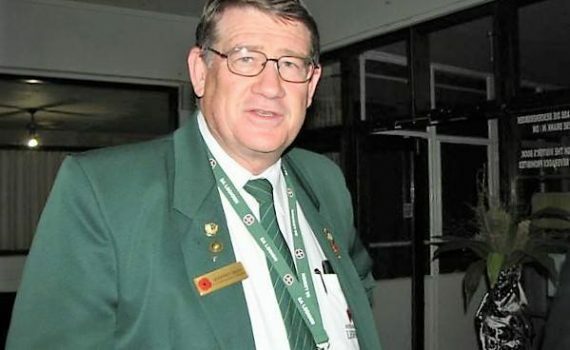 Frank Sexwale as Chairman of the SA Legion Soweto branch steered the branch through the turbulent 1980’s. In 1986 he received a letter of commendation from the Legion for “transcending political pressure to keep the branch operational” in difficult and dangerous days. The branch facilities were actually expanded and sponsorship secured. During the late 1980’s he also played a pivot role in securing Legion sponsored housing for Black veterans in Dube and Moroka districts on 99 year leases, when property ownership became legal for Black South Africans, arranging special meetings to explain the legalities of the lease and filing 140 applications. In 1989, he became the first Black member of the Legion to address a Royal Commonwealth Ex Services League Conference (then the BCEL) conference in London, England. On this trip in 1989 he also travelled to Hollybrook cemetery in Southampton, England to visit the SS Mendi memorial there and laid a wreath. He then went on to see artefacts from the Mendi kept at the Bembridge Museum on the Isle of Wight. He has been central to championing the memory of the men lost on the SS Mendi and remained so all his life. We know how important the Soweto Branch was to him and we will try to ensure that it remains strong in his memory. We will especially remember him at the SS Mendi Commemoration Service on Sunday 22nd February 2015 at 13h00 at the Avalon Cemetery. We will also remember him at the SS Mendi Service in Atteridgeville on Sunday 22 February 2015 and at the Southampton SS Mendi service on the 20th February and at the Noortwjk SS Mendi service in Holland on the 21 February. At the going down of the sun and in the morning, we will remember him! 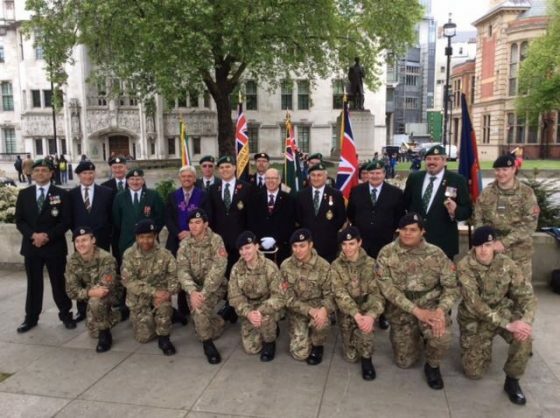 South African Legion of Military Veterans press announcement, as of yesterday 9th February 2015 His Royal Highness The Duke of York, Prince Andrew will take up the position of Grand President to our founding organisation – The Royal Commonwealth Ex-Services League (RCEL). The South African Legion of Military Veterans is delighted with General The Lord Richards announcement that His Royal Highness The Duke of York, Prince Andrew, has agreed to take over the role of Grand President from His Royal Highness The Duke of Edinburgh, Prince Phillip. It is with sadness yet full understanding that HRH, Prince Phillip, will be standing down after 41 years of loyal service to our veterans at the helm of the League. The Legion will be sending our heartfelt thanks to HRH Prince Phillip in due course as well as welcoming and congratulating HRH Prince Andrew. 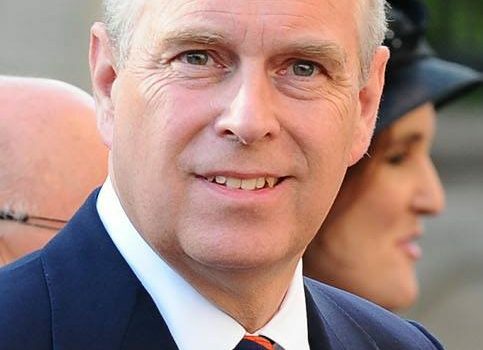 Prince Andrew, Duke of York KG GCVO CD ADC, is the second son and third child of Queen Elizabeth II and Prince Philip, Duke of Edinburgh. He has an excellent military service record, including operational flying during the Falklands War and he already has strong connections with the Commonwealth. His Royal Highness also supports many charitable and not-for-profit organisations and maintains close links with the Armed Forces. In February 1921, Field Marshal Earl Haig, Field Marshal Jan Smuts and General Lukin addressed veteran organisations from around the world to form what is now known as RCEL in the Cape Town city hall. The South African Legion has agreed to host the RCEL 100th Anniversary in Cape Town in 2021. The South African Legion will also be participating in the “Flying of the Flag” on Commonwealth Day, 7th March 2015. 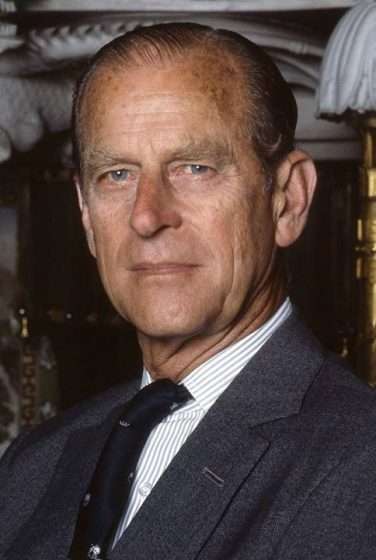 **Prince Philip photograph by Allan Warren, 1992, and Prince Andrew by Aaron McCracken/Harrisons. Source is Wikipedia. 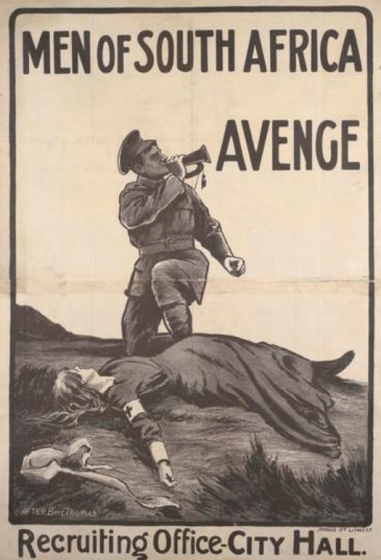 South African WW1 recruitment poster calling for revenge over the execution of Edith Cavell. 1915 – Fascinating World War 1 recruiting poster urging South Africans to arms. 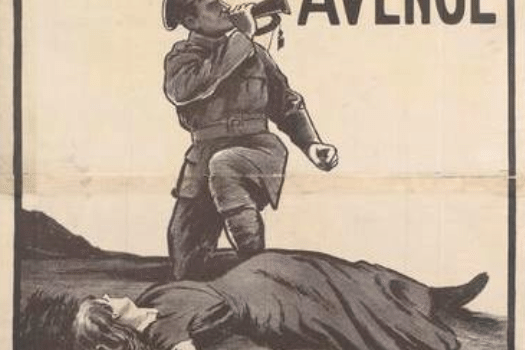 The poster urges South Africans to avenge the execution of a nurse – Edith Cavell (1865-1915) who was a Red Cross nurse in Belgium, executed by the Germans during the First World War. The British-born Cavell arrived in Belgium in 1907 to take up the post as matron of a training school for nurses. When the Germans invaded in 1914 she remained in Belgium joining the Red Cross and treating the wounded of both sides. However, in August 1915 she was charged, along with an accomplice, with aiding the escape of over two-hundred Allied soldiers to neutral Holland. She confessed her guilt and faced the firing squad in October. Her execution provoked an outcry in Britain and was often cited in Allied propaganda as an example of German brutality. 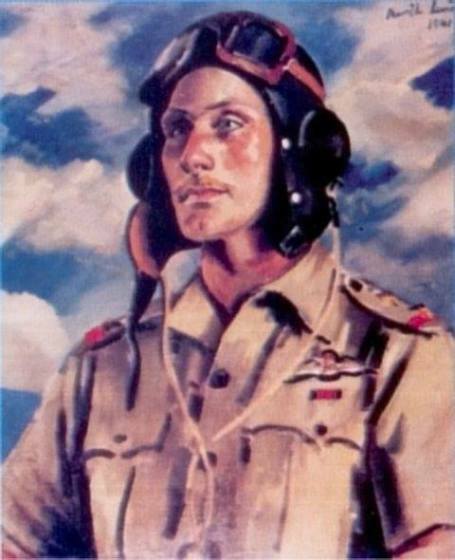 Lieutenant Robert Harold Carlisle Kershaw DSO, DFC became the first South African pilot to be made a Companion of the Distinguished Service Order (DSO) in WW2, Lt Bob Kershaw earned the DSO for rescuing his commanding officer Captain Jack Frost after he had been shot down during a raid on the Italian airfield at Diredawa. Bob Kershaw landed his single seater Hawker Hurricane fighter alongside Jack Frost's stricken Hurricane and at great risk to himself, picked up Frost. Space in the Hurricane was tight, so Jack had to discard his parachute and sat on Bob's lap. With Bob working the rudder's foot pedals and Jack using the throttle and control stick, they were able to take off and return to safely to their base at Dogabur. Painting and reference Neville Lewis SANMMH 1941. Brand was born in Beaconsfield (now part of Kimberley, Northern Cape) in South Africa to a CID Inspector in the Johannesburg police. He joined the South African Defence Force in 1913. During the years 1914–1915, Brand continued to serve in the Union Defence Force. In 1915, Brand travelled to England where he transferred to the Royal Flying Corps. He learned to fly and was awarded Royal Aero Club Certificate No 3949 on 30 March 1916. During the First World War, he flew Nieuport 17 scouts, serving in No. 1 Squadron RFC in France as a Flight Commander before being posted back to England. In February 1918, Brand became commander 112 Squadron, a home defence night fighter squadron equipped with specially modified Sopwith Camels flying from Throwley in Kent, shooting down a Gotha bomber over Faversham on 19 May. He was then appointed commander of No. 151 Squadron RAF at Fontaine-sur-Maye in France, a night fighter squadron formed to combat German night raids over the Western Front. 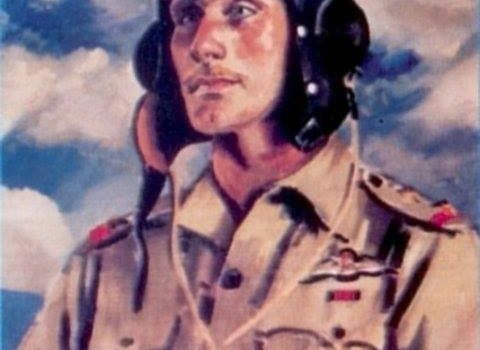 The squadron downed 26 German aircraft with Brand himself shooting down four, becoming the highest scoring RAF night fighter pilot of the First World War. Brand claimed 12 victories in 1917 and 1918 (seven victories with No 1 Squadron, four with 151 Squadron and one with 112 Squadron) and was awarded the Distinguished Flying Cross during this period.